As some of you will know I had been training hard over the last 5 months to prepare for the Robin Hood Full Marathon at the end of September. After being very ill for the whole of the previous year after contracting Lyme disease I didn’t think that I would be ABLE to run again so for me even to train for this was a big deal and a fantastic turning point. With the most consistent training I have ever had for a marathon I really felt good about the day itself and looked forward to seeing what I could do. The week before the marathon I wasn’t feeling 100% – but put it down to nerves or the usual last minute immune system crash when the miles reduce over the last few weeks. A short run on the Thursday revealed that I was struggling with my breathing – it seemed whatever my body was fighting was taking a small toll. I was forced to visit the Dr. who was able to give me some medication in an attempt to open up my lungs a little. The breathing felt a bit better by the Saturday (day before race day) but my short 15 minute jog didn’t feel quite right. When I was unwell I had big issues with my heart so I now always wear a heart rate monitor. Because something wasn’t clicking I checked my heart rate and despite the very slow pace my heart was racing as if I was running in a 5k race! A big knot formed in my stomach and I just hoped to God a good nights sleep would magically cure. Despite the nerves, I slept reasonably well. My heart rate wasn’t quite as low as normal but it wasn’t alarmingly high either so I got myself ready to go and felt a little more happy about the day ahead. Arriving at the race village the atmosphere was electric. It was an hour and half before the race and felt like it would be AGES hanging around before the race start – but before I knew it, it was time to go to the start line. I had a small wobble where I nearly cried overcome with emotion but I slapped myself across the face (yes – quite hard, and several times, I’m sure the guy next to me was thinking I was a complete nutter!!). I calmed myself and felt like everything I had put in over the last 5 months was going to work and this was my time. I was ready to go! The gun went off and I ran over the start line. The first mile was a little fast so I told myself I needed to slow down a little which I managed to do. After just 2 miles I felt like something wasn’t quite right. I told myself it was the fast start and not to worry, that everything was fine and that this was easy – but my positive thinking wasn’t working as I was really struggling to get my breathing going and it felt like much more of an effort than it should’ve been. I looked behind me and saw there was a pace group not too far behind me so I slowed down and decided to go for a slightly slower pace than originally planned. I sat in the middle of the pace group but I kept feeling like the pace was SO fast. At 3.5 miles I was still really feeling like something was wrong, it was a gut feeling in the pit of my stomach that something wasn’t quite right. Something in my head told me to check my heart rate and to my shock it was 183 (my usual flat out 5k pace heart rate is around 172 – 175 beats per minute, so a good 10 beats slower with a MUCH faster pace). I told myself that it just needed time to settle and not to overthink or panic. I carried on trying to breath really deep and stay calm. But, by 5 miles it was still sky high. I had to make a decision and the first decision was to drop off the pace group completely and go slow for a mile and see if I could settle my heart rate. The decision was made very quickly as at this stage I was getting stabbing pains in my chest and shoulder so I immediately slowed the pace right down. After continuing at the slower pace I re-checked the heart rate but it just wasn’t changing, even with the slower pace. I felt like I wanted to cry but at the same time knew there was no point. I had to face the fact that it wouldn’t happen today and the hardest decision I’ve ever had to make was to just slow down and get to my parents and pull out. I was in second or third place at the time so it wasn’t a decision I took lightly – I just knew I needed to listen to my body. My parents were stationed at 10 and 12 mile markers so it was still a fair way to go until I saw them! I realised that because I was running so much slower they would probably think they had missed me in the crowds so at 8.5miles I pulled up to the side of the road and asked to borrow a spectators phone. I called my Dad and found it hard when I heard his voice not to cry but managed to get my words out just enough to tell him that there was something wrong and I would continue to jog and just finish the Half Marathon course. The plan had changed but now I knew there was nothing I could do, I tried my best to enjoy the experience. It wasn’t quite the same but I high fived the children who were cheering on the runners and got chatting to a few fellow runners and tried to help them keep the pace going. One guy around 9 miles told me he’d been chasing my pink top for the last few miles and that he was trying to get a sub 1.45 half marathon for his 46th birthday which was that day. I looked at my watch and reckoned if we pushed the pace up a notch we could manage it so I switched back into my coach mode and kept the pace going for the last few miles. It took my mind off my own disaster but also meant it hadn’t been a complete waste of time as I had got to help somebody else reach their goal even if I hadn’t hit my own. At mile 11 the Marathon runners peeled off to the left and the Half Marathon runners continued straight on. My heart felt a little like it was being ripped out as I mentally waved a final goodbye to the rest of my marathon but I knew it was for the best. 12 miles we ran past a guy on the floor with an oxygen mask looking pretty bad……..”that could’ve been me” I thought “thank god I stopped – I made the right decision”. I came into the home straight and we made a final push towards the line as we could see the clock ticking down. One last push and I got my guy over in just under 1.43 so great to have got his time. I walked through the finishing area and got my piece of tinfoil heat wrap stuff. I have ALWAYS wanted one of these but never got one, but today I TOOK IT! If I couldn’t do the marathon I sure as hell am going to wrap myself in foil and look like I have! I met my mum and dad and they asked would I be okay to walk the 20 minutes to the car – in actual fact that was the very disappointing thing, my muscles and my body felt absolutely perfect. No tiredness, no nothing! My heart rate was still elevated even walking so it wasn’t a lack of training, or tired muscles or the body – it was just literally that my heart was NOT in it today! It took a while to sink in and when it did – it hit me fairly hard. I felt like I had overcome so much after my illness that I hadn’t realised how much I had put on this race and it was a little overwhelming. But, what I also realised is that you cannot always judge a result by the amount of effort you put in. Sometimes you get the results you have worked for and sometimes you just don’t. Life is like a box of chocolates – you never know what you are going to get! But, do you know what? No matter how tough things are, sometimes the way to think about it is to look at the BIGGER PICTURE. No – not every day will be a success. NO – not every week will result in a loss on the scales and YES – you will feel like giving up at some stage. But, the bigger picture is consistency. At some point consistency pays off. How many times have you gone for interviews for jobs before finally getting a job? Most of us at some stage or another have had to try again at something. If everything happened first time, I’m not sure we’d actually learn anything from life at all. The bigger picture with both weight loss, exercise goals and actually life in general is that actually all the SMALL triumphs do eventually add up and result in some sort of success at some stage. 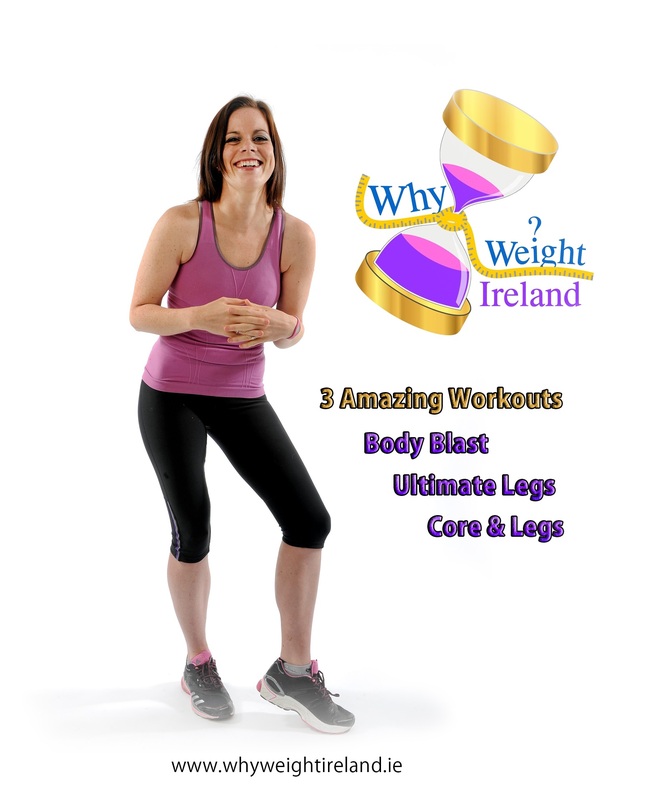 Just ONE pound per week feels pretty lousy when hard work has been put in – however just one pound per week is almost 4 stone a year; Which is as much or less than the majority will want to lose to be a healthy weight. Instead of saying – wow, I could lose everything I want in X amount of time we get disheartened, fall off the rails – GAIN weight again because we are annoyed we didn’t lose more and probably spend 2 – 3 years yo-yoing attempting to achieve the same result as if we had just accepted and embraced the 1lb loss and got on with it. A loss is a LOSS no matter how small and quite often slow and steady really does win the race! I saw a quote from one of my Twitter followers yesterday that I found interesting “A strong person turns their envy into self-motivation. Weak people turn it into jealousy”. As I read that quote, I realised that it was true. Last week I had felt that against all the brilliant odds, fantastic training and everything else I was GOING to do well in that marathon. And it didn’t happen. I felt rubbish about my own defeat but I have to sadly admit that I allowed myself to wallow in self-pity and on seeing other friends post on their fantastic runs and personal bests, part of me was envious. And that envy did turn into jealousy. I didn’t want to run, I didn’t see the point. But – you know what, sometimes you have to take the hit and stand up stronger. Pick up all that energy and go again. If you lose 2lbs and gain back one you are still another pound closer than you were last week. And every week that passes you are another step closer to your goal. The people we look at, the people we aspire to be at – they work at it! They don’t just magically achieve it! I always used to look at my sister in law and think how lucky she was to be so slim. I assumed it was “easy” for her. In my head I felt like it was unfair – yes I was a little jealous! For a long time I did fill my own weak head, and allowed jealousy to creep in and I absolutely got NOWHERE with changing my own body or my mental state at all, a vicious circle. It was “harder” for me for whatever reason (or so I told myself). It was actually only when I logged onto a pregnancy forum I was involved in that I saw a post from a lady who had lost a lot of weight. She had her before picture and her after picture wearing Zumba clothes (she had since become a Zumba instructor) and I just thought “wow”. That was the first time that I used that feeling inside and turned it into that self motivation instead of jealousy to change myself. Instead of focusing on all of the things that I COULDN’T do I suddenly became inspired to actually see what I COULD do. A small switch in perception and mental attitude and it wasn’t actually as unachievable as I initially thought. Some time more recently and hearing my sister in law talking about finding it hard to say no, finding it hard to stay the same weight and the same daily struggles as me – I also realise with these words combined with my own experience maintaining weight that actually it isn’t always “easy” for somebody else just because they make it appear to be. People who are slim for the most part work hard to stay that way. They still watch what they eat, they still exercise. They still have hang ups about their body! My friends who have posted good running times make it look very easy but the amount of work that goes in behind the scenes to make that 1 or 2 minutes difference in the times is unbelievable. Again – judging by the end result is not a reflection of what has gone into getting that result! I’m not even sure what the aim of this blog post is supposed to be! As you can see my brain is still a little in chaos from the last few weeks! But I guess what I want to say is that no matter how long the road or however many twists and turns there are – if you keep trying then you are still getting somewhere. I could’ve given up a million times when I was losing weight (and yes some weeks I DID for a brief few days or even weeks) but the one thing that remained consistent was that thought in the back of my head that I desperately wanted to be happy both inside and out. My outsides were making my insides unhappy and nobody got to see the light that was on the inside anymore as my outsides were blacking it out! Only when I kept working towards my BIGGER PICTURE was when the light started to shine again. Take each minute, each hour, each day, each week at a time and you will soon see them add up. For me right now – I am using the motivation of my own members to remind me that actually it DOES pay off. I have to practice what I preach and no matter how hard I will live to fight another day. It might not be today – but it will be someday. If I give up – it will be never! There is really no option but to continue! I will fight this Lyme Disease with everything I have got and I won’t stop until I have won. Believe in yourself – and make your dream come true. YOU have the power to decide your future. 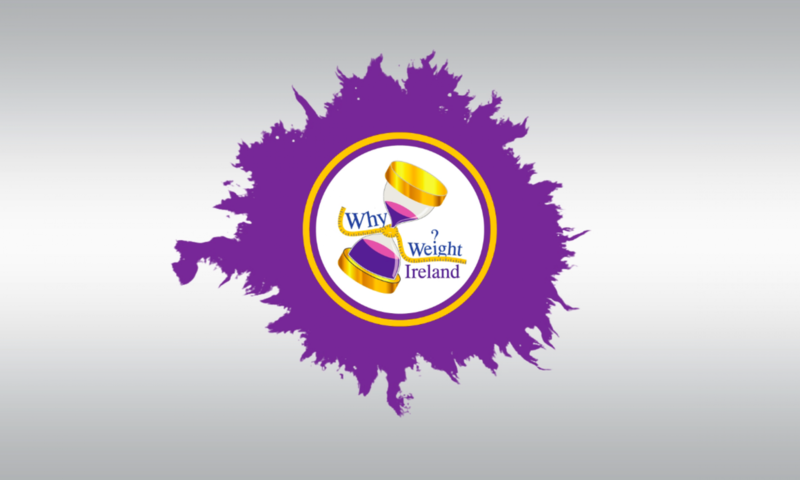 Previous PostPrevious Why Join Why Weight Ireland & What Makes Us Different?